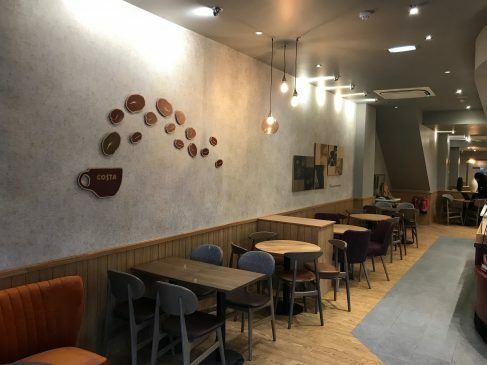 What a month November was for Jephsons and Costa Coffee; there were refurbishments and new openings going on all over the country. 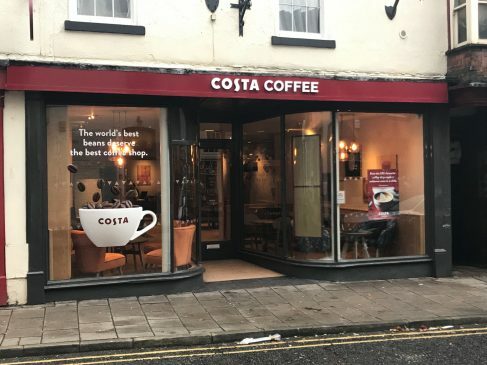 Derbyshire topped our Costa Coffee league table this month with the completion of two projects in the county. 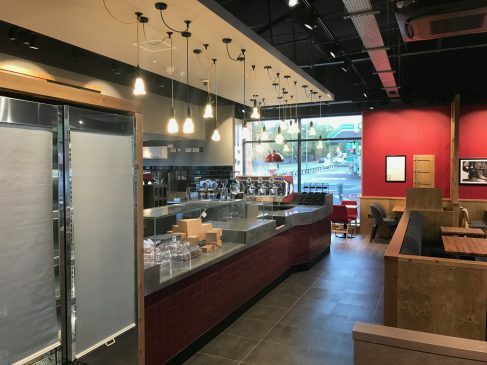 In Swadlincote, just off the A38, we handed over yet another Store of the Future project, while deeper into the Peak District in Ashbourne we handed over a lovely project where we maintained the heritage and look of the town-centre store while the inside was finished with the very latest Store of the Future design. 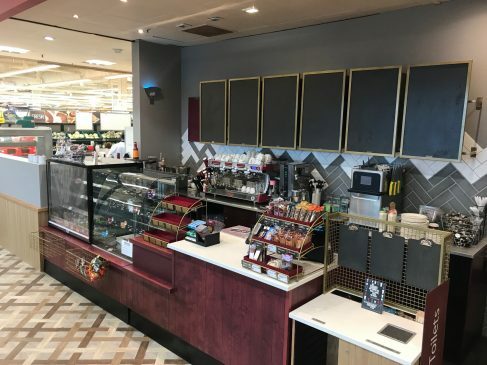 If you had headed south to the West Midlands, you could have been there when we handed over the fully refurbished Costa Coffee store in Kingswinford on the edge of Dudley. 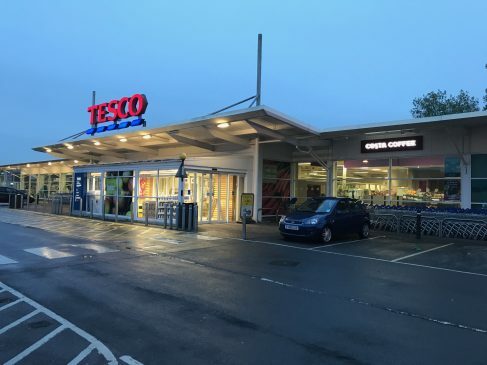 From there we turned east and made for Northampton for another refurbishment which left both customer and customer’s customers delighted with the store. 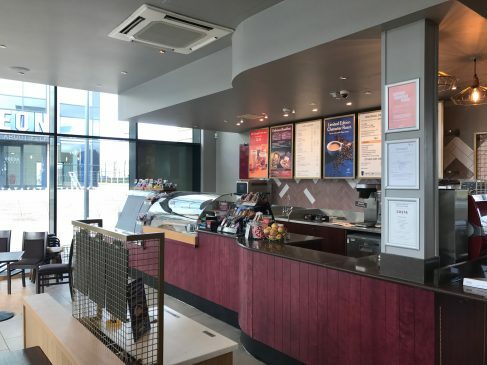 Zig-zagging west across the country along the A43 and then the A44 lead us to Bishop’s Cleeve in Gloucestershire and the interior fit-out of a brand-new Costa Coffee store inside the local Tesco superstore. 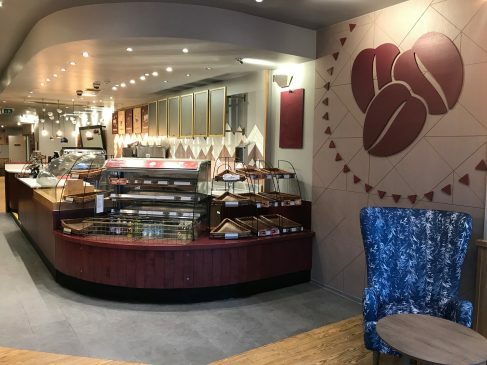 Our final Costa destination of the month took u to England’s capital and into North London where at Temple Fortune we handed over yet another Store of the Future designed coffee shop. 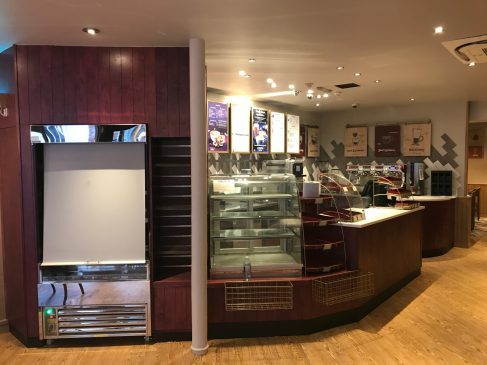 The refurbishment for Costa Coffee’s estate team took five days, which is pretty good going considering we were in London.